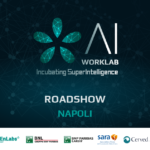 The Startups Accelerator LUISS ENLABS announces its entry into the Global Accelerator Network (GAN), the global community that gathers the best accelerators in the world. 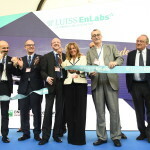 Just three years after its birth, LUISS ENLABS, a joint venture between LVenture Group and LUISS Guido Carli University, has achieved such remarkable results to be invited to join this exclusive international network. In fact, 94% of startups accelerated by LUISS ENLABS closes round of fundraising involving third-party investors within a few months after graduating from the acceleration program. 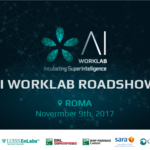 Joining GAN will allow LUISS ENLABS to work with the leading industry players and to offer to its startup international opportunities of training and networking. Born out of the Startup America Initiative of the White House, GAN currently includes 75 of the best accelerators and organizations in the startups industry on a global scale, including TechStars, MuckerLab, Startupbootcamp and Flat6Labs, which overall have offices in 125 locations in the world. With the strength of this powerful network, GAN supports accelerators also by collecting useful industry data and best practices and attracting the best deal flow and investors to support accelerators internationally. All accelerators inside the GAN offer short-term acceleration programs based on mentorship, with extremely favorable terms and conditions for entrepreneurs and excellent results. 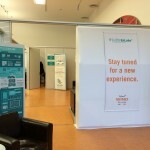 LUISS ENLABS organizes a five-months Acceleration Program, which brings startups to generate revenues on the market and close following rounds of investment, thanks to financial resources provided by LVenture Group and a 360 ° support in terms of business development, networking with investors, management and technological development.